Isn’t this parenting gig a funny thing? When you have a newborn, and you don’t remember when was the last time you had more than two hours of uninterrupted sleep, you wish your baby would be at least a toddler. Then, once you have a toddler, that constantly on the move toddler, who would rather (no kidding) bang her head against the floor than sit still for more than 30 seconds, you finally understand why these mums with older kids were telling you to enjoy the newborn stage of baby’s life. And then you hear people talking about the terrible twos and how having a threenager is even worse than the terrible twos. And you start to wonder how on earth you are going to get through all of these stages. So here it goes, baby vs toddler. Which years are actually the worst? Ok, I can’t really talk about the terrible twos or the threenager stage, as we are not there yet. If you’ve gone through these stages with your kids or you are still battling through this phase, I would love to know what’s your take on this. Do you find a certain age extra hard? From my experience so far, each stage has a different set of challenges we have to deal with on a daily basis. Having a baby is a new challenge in its own right. Your life as you knew it is gone. Now you have this tiny person in your life, who can’t do anything by herself so relies on you completely. This is scary enough but if you add things like crying, frequent waking up during the night, and the need to be held like every second of the day, your new life can feel very overwhelming. When you are in that massively sleep deprived stage, you don’t think it can get any worse than that. Surely this is the hardest part. It will only get better from here, right? Only it doesn’t. You feel like you are trapped in this never-ending circle of constant nappy changes, feeding, and soothing your fussy baby. It’s a constant learning curve. Starting from the little things like understanding the different kinds of crying. Is it hunger, tiredness, or a dirty nappy? Or something totally different, which can leave you clueless at times. But it’s not all bad. Remember how easy and enjoyable the shopping used to be with a newborn? Once the baby was fed and changed, you could do your food shopping with a breeze. That is if she was fast asleep of course. Or you could just browse those sales rails in Next Clearance or other favourite outlets. Looking back, you remember the good things like all the important milestones in baby’s early months. All the firsts. You look back in awe and wonder how this once tiny and helpless human being became so independent. Once the baby stage is over, your little one is verbal, strong-willed and determined little human, who knows what she wants. And she wants to get it, no matter how dangerous it can be. God help you if you try to reason with her. There is no reasoning with a one-year-old. As soon as they become mobile, off they go. They want to see it ALL, touch it ALL, taste it ALL. And if they don’t get their way, they scream, they throw tantrums (oh yes, those dreaded tantrums), they bite, smack or kick like maniacs. You name it, they’ll do it at one time or another. Yeah, those terrible twos have arrived waaay too early. One of the biggest challenges is when we are out and about. Those once enjoyable shopping trips are gone. Going to a restaurant with a toddler? Don’t expect a relaxing three-course dinner. If you are brave enough to put yourself through the ordeal, be ready for a quick exit. In and out. Being strapped to a high chair for longer than absolutely necessary is not a definition of fun for a toddler. You will be only too happy to leave asap with your out of control little destroyer. But then, they can also express their feelings a lot better. And I’m not talking only about negative emotions this time. They will shower you with kisses and hugs, their laugh is just too adorable, and that is enough to forget all the struggles and frustrations you experience on a daily basis. That’s when you realise something. No matter how annoying, illogical and frustrating their behaviour can be, it’s all worth it. And you know that you wouldn’t change it for anything. As I see it, both stages are challenging in a totally different way. There are good and bad points about all developmental stages kids go through. Now, to answer the question I set at the beginning. 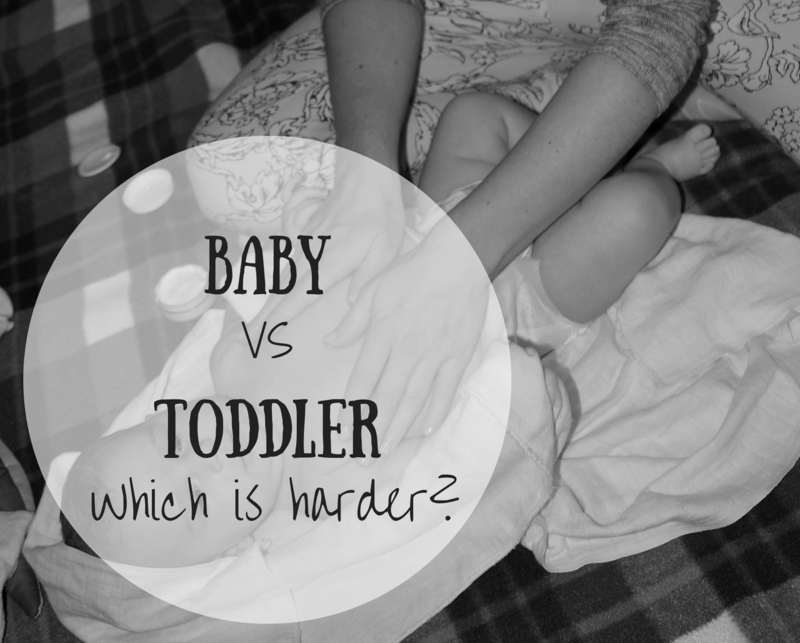 No, I don’t think toddlers are more challenging than babies. Or vice versa. What I know is that parenting was hard a year ago, when I had a newborn, and it is hard now with a toddler. So, which stage (if any) of your kids’ lives have you found more challenging? Leave your comments below. I have 3 kids that are now in school and have learned that even as they get older, each stage continues to be very different. There are parts that get better and parts that get more challenging! But it’s always amazing to watch them grow and learn! That’s what I’ve found so far. Challenges change with each stage. Thanks for sharing your insight. As a mama of twins I can say without a shadow of a doubt that having twin toddlers is waaaay harder than having twin babies! 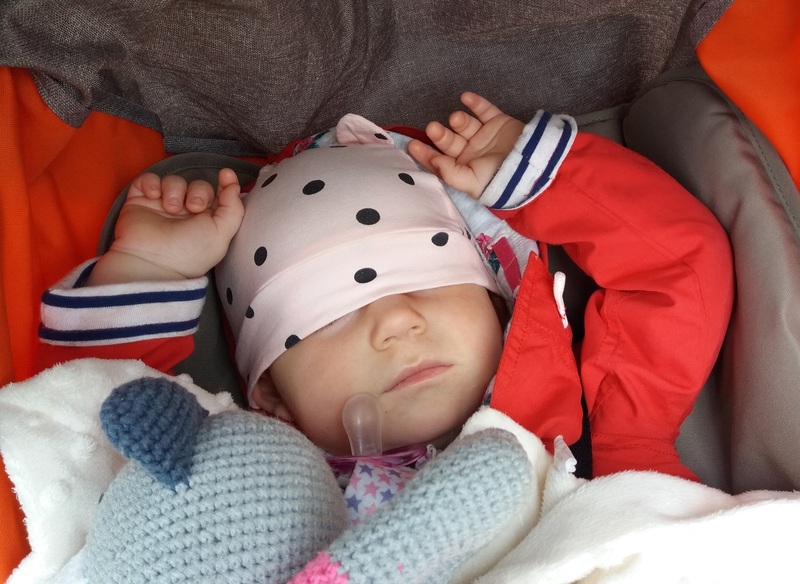 At least babies cant run around, fight, talk back, throw tantrums…etc Having babies who napped was so much easier than toddlers who are constantly on the go and needing to be entertained! I love reading real-life posts like this! Thank you for keeping it real for us parents-to-be! Every stage has it’s own unique challenges .. Non is tougher or easier..
That’s my view as well. my 10 months old just started walking and my legs hurt already. looking forward to a busy adventure ahead. Haha, there’s no better exercise than running after a child who has just mastered walking.